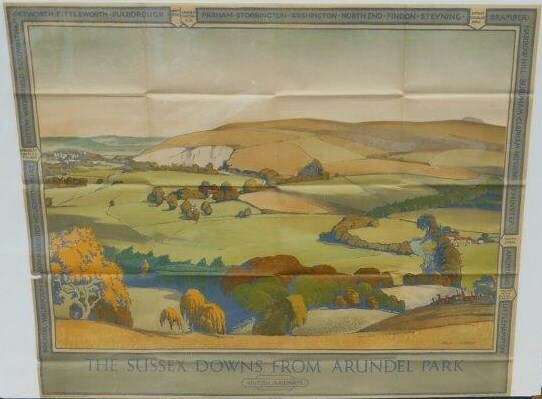 Lot 93 Q/R Poster 1948, BR(S) "The Sussex Downs From Arundel Park" by Spradbery. An idyllic view of the Downs. Very good folded condition.